You have to admire the people who first inhabited this Rock, it cannot ever have been easy. You have to admire the people who first thought of building a Lighthouse here, what a feat of engineering. Of course we are on Skellig Michael, and I have not even mentioned Star Wars! As a tour guide on the Skelligs in the early '90s I used to love climbing over the wall into the lighthouse and exploring. It was a fabulous place to live I am sure, although remote. 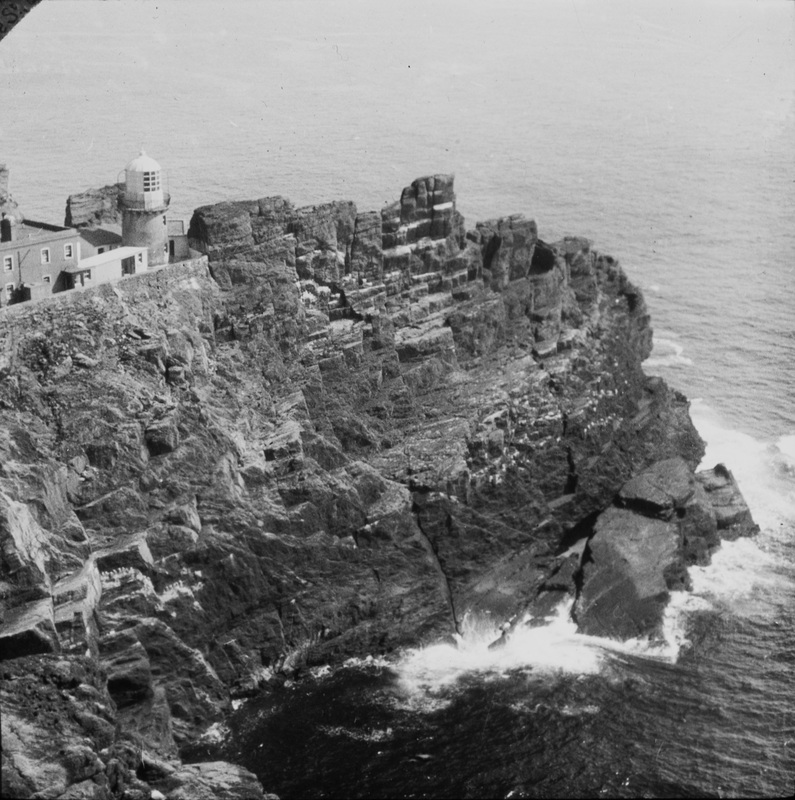 Whenever Richard Foran, one of the ex-keepers, would come out to do maintenance a visit to the light was a must, not only to climb up the tower but to hear Richards stories of times gone by over a mug of tea, as must have happened many a time in that house. They were the best two summers of my life working on the rock, 3 weeks on and 1 off with no electricity, no running water, a VHF for communication. It would appear, though, that the Star Wars attraction has overcome the real meaning of visiting the rock, which is to experience what it must have been like for the monks many years ago and the keepers in more modern times to live there. I second the recommendation of the recent RTE series! Fantastic stuff! This history - www.irishlights.ie/tourism/our-lighthouses/skelligs-rock.... - says "... The dwellings were semi-detached (one house for the Principal Keeper and one for the Assistant) the lower was two-storey, the upper single. Each had attic rooms. The pitched roof of the lower house was flattened circa 1910. Each house had its own cast iron porch and all four are still in situ. ..." The photo on page 38 (see sliding thingy) shows the house with a pitched roof and dated "June 1908" - catalogue.nli.ie/Record/vtls000284024#page/38/mode/1up So after June 1908 at least ? [http://www.flickr.com/photos/[email protected]/] It was great Wendy. What is not widely known is that George Bernard Shaw landed on Skellig Michael on 17th September 1910 [about the time of this photo?]. He was very impressed by the way he was rowed out and back by the two rocks, and by the Keeper who only asked for newspapers and literature to be sent out to him - "But for the magic that takes you out, far out of this time and this world, there is Skellig Michael ten miles off Kerry coast, shooting straight up seven hundred feet sheer out of the Atlantic. Whoever has not stood in the graveyard and their beehive oratory does not know Ireland through and through."